The Missoula Children's Theatre (MCT) is coming to town! The tour team will arrive soon with a set, lights, costumes, props and make-up, everything it takes to put on a musical...except the cast. The team holds an open audition and casts 50-60 local students to perform in the production. The show is rehearsed throughout the week and two performances are presented on Friday evening and Saturday afternoon for family, friends and the Laytonville community. The audition for King Arthur’s Quest will be held on Monday December 10th from 3-5pm at the LEMS Multi-Purpose Room. There are roles for students from Kindergarten through 8th grade who will be cast to appear in the show with the MCT Tour Actor/Director. There is no guarantee that everyone who auditions will be cast in the play. Students wishing to audition must arrive by 3pm and stay for the entire two-hour session. This is a group audition–no advance preparation is necessary, but a smile always helps. Students should just be ready to come and have a good time. The first rehearsal begins approximately 15 minutes after the audition. Rehearsals will be conducted all week from 3-5pm and from 5:15-7:15pm at Long Valley Dance. Although not all cast members will be needed at every session, those auditioning must have a clear schedule for the entire week. If selected, the performer must be able to attend all rehearsals required for their role and be available for both scheduled performances. A detailed rehearsal schedule will be distributed at the conclusion of the audition. Cast members scheduled for the full 4 hours and 15 minutes will be asked to bring a sack lunch, dinner or snack to be eaten during the 15-minute break between sessions. The performances will be held on Friday December 14th at 6PM and Saturday December 15th at 2PM at the Laytonville Tin Gym at 150 Branscomb Road. Missoula Children's Theatre is a non-profit organization based in Missoula, Montana, whose mission is the development of life skills in children through participation in the performing arts. Their week long residency is FREE to all participants and made possible by Long Valley Dance, the Laytonville Unified School District, the Big Chief and donations from our generous community. For more information about MCT, please visit www.mctinc.org. Join Peter, Wendy, Captain Hook and many more for a fanciful flight to Neverland and back when the Missoula Children's Theatre and more than 50 local students present an original musical adaptation of PETER AND WENDY. The audition for the Missoula Children's Theatre production of Peter and Wendy will be held on Monday April 30th at 3pm at the LEMS Multi-Purpose Room. There are roles for those students from Kindergarten through 8th grade. Approximately 50-60 local students will be cast to appear in the show with the MCT Tour Actor/Director. There is no guarantee that everyone who auditions will be cast in the play. Students wishing to audition must arrive by the scheduled starting time and stay for the entire two-hour session. The first rehearsal begins approximately 15-minutes after the audition. Rehearsals will be conducted every day from 3pm to 5pm and from 5:15pm-7:15pm at Long Valley Dance. Although not all cast members will be needed at every session, those auditioning must have a clear schedule for the entire week and if selected, be able to attend all rehearsals required for their role and be available for all scheduled performances. A detailed rehearsal schedule will be distributed at the conclusion of the audition. Cast members scheduled for the full 4 hours and 15 minutes will be asked to bring a sack lunch, dinner or snack to be eaten during the 15-minute break between sessions. The performances will be held on May 4th at 7pm and May 5th at 2pm and will be presented at the Tin Gym. For any questions about the audition, rehearsals, or the shows, please contact Joni Kirvin at (707) 684-6114. The Missoula Children's Theatre is a non-profit organization based in Missoula, Montana. This coming year more than 65,000 cast members across the globe will take to the stage to the delight and applause of their families, friends, community, neighbors and teachers! 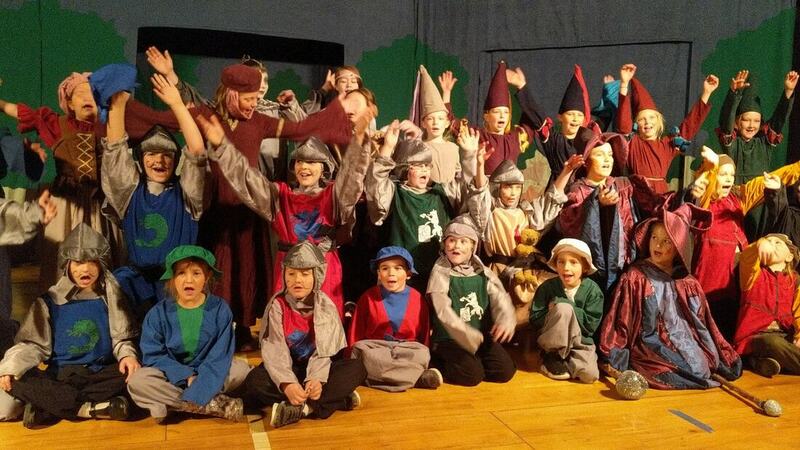 This residency in Laytonville is made possible by Long Valley Dance with help from our generous community.For more information about Missoula Children's Theatre, visit http://mctinc.org/. An audition will be held for the Missoula Children's Theatre production of GULLIVER’S TRAVELS on Monday November 28th at 3pm at Laytonville Elementary School MultiPurpose Room. Approximately 50-60 roles are available for local students. No advance preparation is necessary. ​Most students rehearse approximately 4 hours after school Monday through Friday. Younger performers will have shorter rehearsals. Performances will be at the Tin Gym on Friday December 2nd at 7pm and Saturday December 3rd at 3pm. GULLIVER’S TRAVELS is part of the Missoula Children's Theatre's unique international touring project and is presented in Laytonville by Long Valley Dance with help from community members, the local business community, and the Laytonville Unified School District. 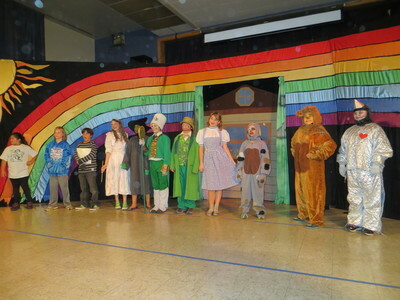 For more information about Missoula Children's Theatre, visit http://mctinc.org/. "With his ship wrecked and his trusty computer JCN on the fritz, brave explorer Gulliver finds himself lost in space with nothing but an Invisible Force to guide him! While transporting from world to world, under the control of the Maniacal Scientist of Lapunta, Gulliver discovers fighting aliens, arrogant Horse Leaders of the foolish Yahoos, larger-than-life royalty (in more ways than one) and robots – all who need just as much helpfrom Gulliver as Gulliver needs from them! Tune in as this sci-fi spin of the timeless tale of GULLIVER’S TRAVELS will take you out-of-this world!" October 24, 2015 marked the successful completion of Laytonville’s third annual visit from Missoula Children’s Theater (MCT). 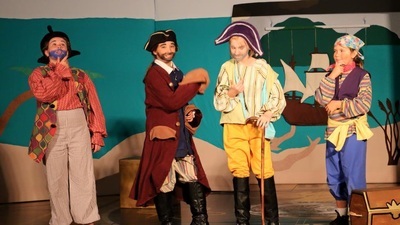 This year’s production was Blackbeard the Pirate. It featured forty kids from kindergarten through eighth grade at Laytonville and Spyrock School. The MCT experience started on Monday morning when the team of two Tour Actor-Directors show up at the school and present a school-wide assembly. This year’s assembly focused on the art of storytelling and involved at least twenty kids in impromptu demonstrations or storytelling from around the world. On Monday afternoon the MCT team conducted auditions. The three main things that the team look at in the kids auditions are; loud, clear voices, big, expressive movements and listening and paying attention. Each students who showed up for the auditions was cast in the show. There were perky parrots, spooky seaweed creatures, cranky crabs, crabby crocodiles, magical mermaids, lazy beach bums and proud pirates. The students rehearsed each day after school, some up to four hours each day, and by Friday they had an awesome show. Missoula Childrens Theater touring productions are complete with costumes, scenery, props and makeup, making for a pretty spectacular theatrical experience. Performances took place on Friday evening and Saturday afternoon at the Tin Gym. We estimate that over 300 people got to see the performance. The performances by the kids were impressive. It is always so much fun to see what can be accomplished in just a few days. Missoula Childrens Theater is brought to Laytonville by Long Valley Dance, with collaboration with the Laytonville unified School District and Laytonville Healthy Start. The production is also made possible by generous contributions from members of our business community as well as from private donors. We would like to thank Park-n-Takit, Geiger’s Long Valley Market, Laytonville Napa Auto Parts, Weathertop Nursery, Long Valley Auto Parts, Kent Westwood, Michael Marsh, Shelagh Deveney and Ryan Howard. We would also like to thank all of the parents and other family members who helped out in making this special event possible. 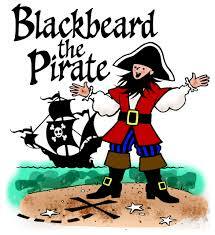 And mostly we would like to thank and congratulate the entire cast of Blackbeard the Pirate for showing up, and doing your best and making our musical theater project an awesome experience. Kindergarten through 8th Graders Welcome! 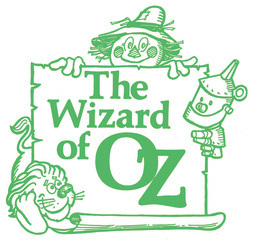 The audition for the Missoula Children's Theatre production of The Wizard of Oz will be held on Tuesday, November 12 at Laytonville Elementary School Multi-purpose room. There are roles for those students Kindergarten through eighth grade. Approximately 50-60 local students will be cast to appear in the show with the MCT Tour Actor/Director. There is no guarantee that everyone who auditions will be cast in the play. Students wishing to audition must arrive by the scheduled starting time and stay for the entire two-hour session. The first rehearsal begins approximately 15-30 minutes after the audition. This is a group audition - no advance preparation is necessary, but a smile J never hurts. Students should just be ready to come and have a good time! Rehearsals will be conducted every day from 3:00pm to 5:00pm at LES MPR and 5:30pm-7:30pm in the LES MPR. Although not all cast members will be needed at every session, those auditioning must have a clear schedule for the entire week and if selected, be able to attend all rehearsals required for their role. A detailed rehearsal schedule will be distributed at the conclusion of the audition. Cast members scheduled for the full 4½ hours of rehearsal will be asked to bring a sack lunch, dinner or snack. The performances will be held on Saturday, November 16 at 2 pm and 7 pm and will be presented at Laytoville Elementary School Multi-purpose Room. The students in the cast will be called for dress rehearsal before the performance that day. All those cast must be available for all scheduled performances. The Missoula Children's Theatre is a non-profit organization based in Missoula, Montana. This coming year more than 65,000 cast members across the globe will take to the stage to the delight and applause of their families, friends, community, neighbors and teachers! The residency in Laytonville is made possible by Long Valley Dance with help from community members and the local business community.